Dear God in heaven. I never thought the day would come when I’d be writing a bad review of Blondie. Look, as far as I’m concerned, between 1976-1981, Blondie were one of the greatest bands on the planet. Parallel Lines, their third album from 1978, is in my all time top five albums. I saw them live in 2004 and they were excellent. Yet somehow, Blondie have dropped this package that I Do Not Feel You Should Waste Your Money On. 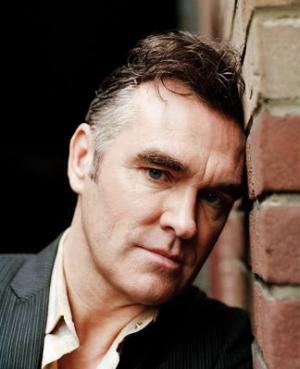 The first part of the package is a greatest hits – except completely re-recorded. 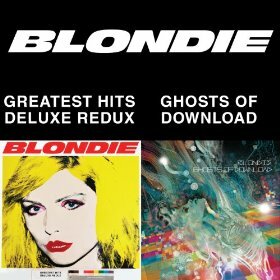 Now only a couple of years off seventy, Debbie Harry’s voice is still sounding great – and these aren’t awful remakes, but unless they’ve been denied royalties on old records, I cannot think of any reason to buy these remakes. They’re not bad, just not as good. And then there’s the second disc, their new album Ghosts Of Download. This is their tenth studio album in total, and their fourth since reforming at the end of the nineties. Now, each of their previous three albums since reforming had some redeeming features -and ‘Maria’ was deservedly a no.1 hit. But it starts off with the naff ‘Sugar On The Side’ and it just…fails to get any better. THe nadir is their cover of Frankie Goes To Hollywood’s ‘Relax.’ Somehow, in the hands of one of the coolest women to walk the earth and one of the best bands of the last forty years it’s…awful. Considering that the original caused a stink thirty years ago, the only reason Mike Reed would be refusing to play this is because it’s such a mess. By the time the final track came to the end I was just relieved. My inbox continues to look like a warzone. 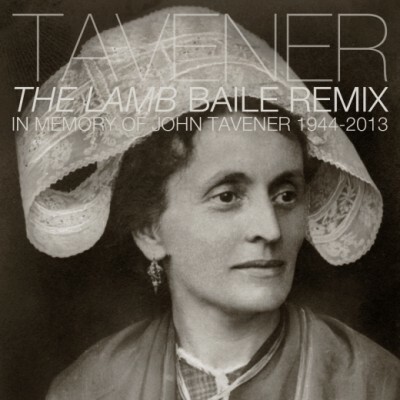 But when you combine the work of one of England’s greatest poets – William Blake with one of England’s greatest composers of the 20th century – John Tavener, and through in a downbeat mix, it’s got to be worth checking out, right? Right! The email said simply ‘This is Reed Kackley. I am an electronic/downtempo producer, from Brooklyn, NY, operating under the moniker ‘BAILE.’The results are nothing short of brilliant. And if you haven’t read William Blake’s Songs Of Innocence And Experience, do. It blew my little mind aged sixteen. What was quite unbelievable, though, was the way that people turned on her quite quickly. Her debut album Born To Die was good, if not spectacular, and yet when that combined with a slightly out of tune performance on Saturday Night Live, you would have thought she was stealing people’s husbands, taking sweets from children and drowning cute fluffy kittens for kicks all at the same time. However, The album sold well both in the US and UK, and June 16 will see the release of her sophomore album, Ultraviolence. One of the big disappointments to reviewers is when, having been impressed with tracks that do the round from forthcoming album releases, they then prove to be the only decent thing on a disappointing record. I’d been impressed by Sharon van Etten’s last record, Tramp, and loved the two or three tracks that I heard ahead of this release. I am pleased to be able to tell everyone that the lead-off songs ‘Every Time The Sun Comes Up’ and ‘Taking Chances’ managed not only to show how different the album would be, but show how it adds up to one very impressive whole. It’s a beautiful record, banishing away the suspicion of singer-songwriters I often have, of both sexes. Her smoky-blues voice is brilliant, the songs fantastic and hopefully this record will be a commercial success, because it so deserves to be. It’s a record to appreciate from start to finish and one I want to play again as soon as it’s finished. 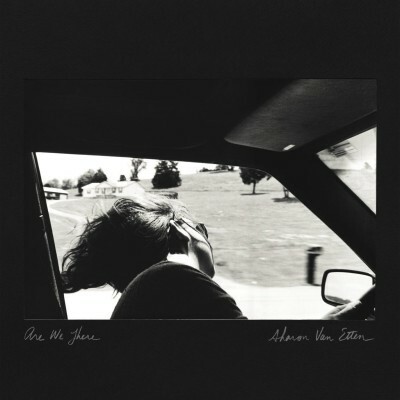 To these ears – and many others, I hope -van Etten’s latest album shows her as an artist who has come of age. Having spoken about how she didn’t want to work with big name collaborators for this record, the proof of the pudding is that she very definitely doesn’t need them, and if people weren’t aware of her before now, this is the record to put that right. One of the strongest albums so far this year. Are We Here is released by Jagjaguwar on May 26. 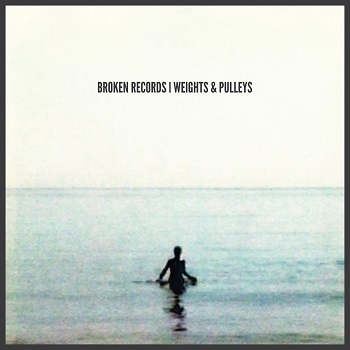 Nearly seven years ago, my first encounter with Broken Records was when all seven of them (as there were, then) walked on stage at Edinburgh’s Cabaret Voltaire and I wondered how they were all going to fit. That night they were supporting the newly solo Emma Pollock – and although they were unsigned, it was clear there was something truly great about them. Fast forward seven years. The band released two fantastic albums through 4AD, then things went rather quiet. But last year there were stirrings, followed by the release earlier this year of a new EP, Toska. And now, four years since their sophomore album, Let Me Come Home, they drop their third album. It’s reassuring to say that they still sound like Broken Records (once memorably described as being like if Nirvana came from Belarus), they’ve continued to progress and this album has been worth the four year wait. By the end of the opening track ‘Ditty (We Weren’t Ready)’ it’s clear that whatever they’ve been up to in the meantime, they’re back and firing on all cylinders. It always pained me that they weren’t bigger than they were. Whilst Stadia and arenas are fairly soulless places to watch live music (and to perform as well, I suspect) in my head they were a band who deserved to amass the sort of fanbase to fill those sort of places. And there’s still time for them to do that. It’s impressive to hear a band who can do epic so well and not sound pompous or smug. One of the things about the internet in the near two decades I’ve been using it is that it is possibly to lose huge chunks of your life checking out stuff. As I write I’m streaming music by the fabulous William Basinski that I haven’t ever seen to buy. That’s via Deezer, but a place where I could lose decades of my life (if I didn’t need to be grounded by the practical realities of this world that I really value), is Ubuweb. Call it an archive, call it a repository, it’s there to help preserve things that might get lost and are often out of print. Or referred to but damn near impossible to see, read or hear. 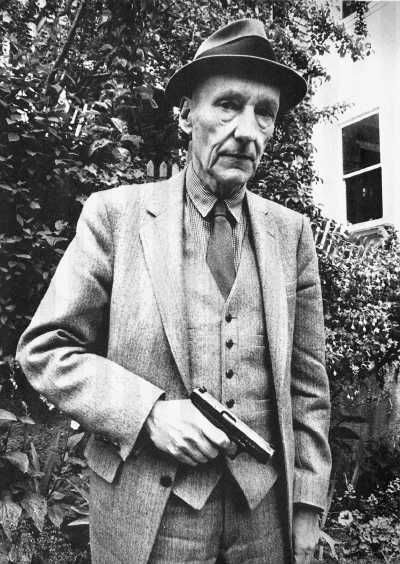 , including the legendary collaboration with Kurt Cobain ‘The “Priest” They Called Him’ and a documentary on Burroughs for Radio 4 presented by Laurie Anderson. You can watch documentaries on Philip Glass’ Einstein On The Beach opera. And download the six albums Momus made for Creation in the late eighties and early nineties, for free. And watch films made by Kenneth Anger that always seem to be referred to, but I’ve not got round to watching yet. Hailing from Valencia, Soledad Vélez’s debut album, Wild Fishing, suggested that here was most definitely not just another singer-songwriter. (Thank God for that.) She drew on folk and blues, and produced a record that suggested her spiritual heirs were more like Cat Power or PJ Harvey. That debut was strong, and suggested she had considerable promise. On the follow-up, the comparisons with the aforementioned singer-songwriters are applicable- but most definitely as a compliment. (Think Moon Pix and To Bring You My Love.) Personal, without being whiney or self-indulgent. There’s still a fair amount of darkness here – but without losing anything of what made that album quite a startling listen. It’s perhaps an easier album to get to grips with, and one which suggests that she is developing as a songwriter and performer. Album opener ‘On Fire’ and ‘South Mountain’ may be the best places to start, but this is an impressive sophomore album, and I look forward to seeing which direction she heads on her third album. Run With Wolves is out now on Absolute Beginners. Apparently, I’ve never featured Sharon van Etten on the blog before, which seems like a bit of an oversight, to say the least. I first heard her on 2012’s Tramp album, and she’s now about to follow that up with a new record, entitled Are We Here, from which two brilliant and very different songs are doing the rounds, ahead of the album’s release. ‘Taking Chances’ meanwhile is if The Cure had a female vocalist and had formed during the Trip-Hop era with absolutely no money (I mean that as a compliment). 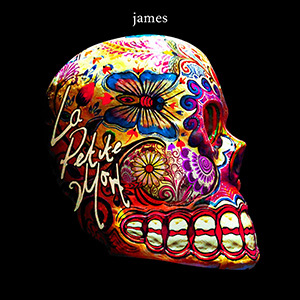 The legendary James return with a new album La Petite Mort, due out on June 2. The video for the single ‘Moving On’ is animated and consists entirely of pieces of string…come back. It is actually a very profound and moving meditation on birth, life and death – you’ll have to watch it right the way through. This is genuinely one of the most amazing and moving music videos I have ever seen. Please take the time to watch it.